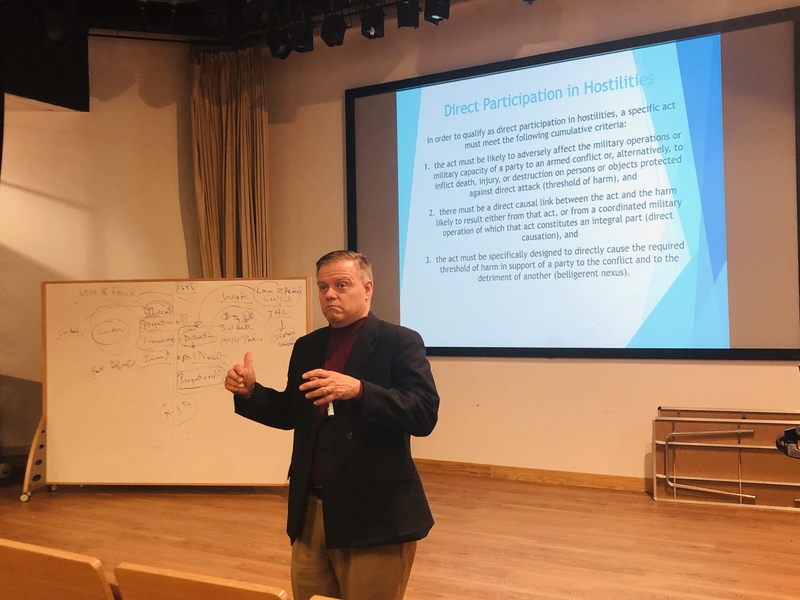 On the 29th of November, Mark “Max” Maxwell (LTC), Deputy Legal Counsel, U.S. Africa Command visited the Centre for Conflict, Rule of Law and Society (CRoLS) and gave a topical lecture on “Modern Conflict and the Soldier’s Right of Self Defence On Today’s Battlefield”. His lecture was inspiring and thought provoking because he invited the Centre to reflect upon not so much the results of a soldier’s right of self defence, but on the process of how different legal backgrounds produce different thresholds of legality. The students were enthralled by the intricacies of this difficult and complex topic, and we thank Mark for this brilliant lecture.